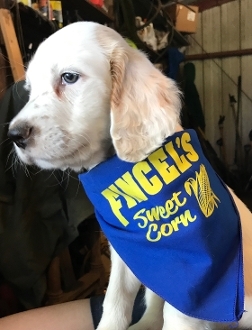 Dogs love sweet corn, too! Your small dog or puppy will look great with this smaller sized bandana around his neck. Only available in sizing for small dogs or puppies.